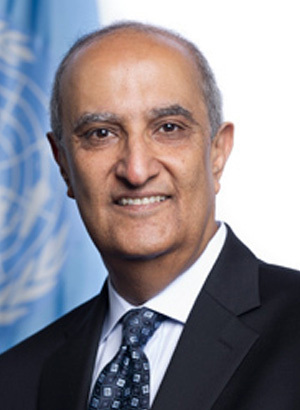 Mr. Maged Abdelaziz was appointed by the United Nations Secretary-General as his Special Adviser on Africa (OSAA) in 2012. Previously, Mr. Abdelaziz served as the Permanent Representative of Egypt to the UN in New York. He brought to his new position more than 33 years of experience in the multilateral diplomacy and direct engagement in promoting global development and socio-economic agenda from an African perspective. Mr. Abdelaziz represented Africa in both the Economic and Social Council and the General Assembly as their Vice President. He played a vital role in promoting Africa’s perspective at the Third International Conference on Financing for Development, as well as at the 2015 Paris Climate Conference. He actively advocates and promotes the implementation of the SDGs in Africa as well as Africa’s transformative Agenda 2063.